Do Ice Cubes Melt Faster in Water or Air? Does Ice Melt Faster in Water or Air? 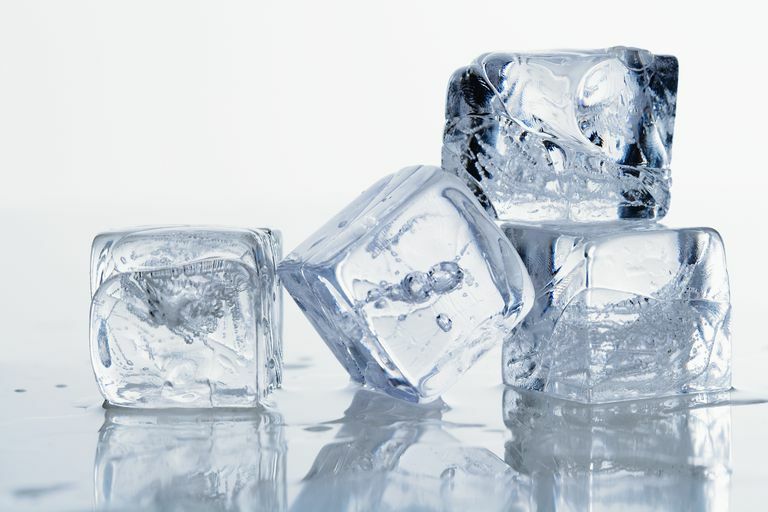 If you watch ice cubes melt, it may be hard to tell whether they melt faster in water or air, but if the water and air are the same temperature, ice melts more quickly in one than in the other. Usually, ice melts more quickly in water, assuming the air and water are the same temperature. The molecules in water are more tightly packed than the molecules in the air, allowing more contact with the ice and a greater rate of heat transfer. There is more active surface area when ice is in a liquid rather than a gas. Also, water has a higher heat capacity than air, so the different chemical compositions of the two materials matter. The melting of ice is complicated. Initially, the surface area of ice melting in air and ice melting in water is the same, but as ice melts in air, a thin layer of water results, which absorbs some of the heat from the air and slightly insulates the remaining ice. When you melt an ice cube in a cup of water, it is exposed to both air and water. The part of the ice cube in the water melts faster than the ice in the air, but as the ice cube melts, it sinks farther down. If you support the ice to prevent it from sinking, you could see the part of the ice in the water would melt more quickly than the part in the air. Other factors come into play: If the air is blowing across the ice cube, the increased circulation may allow the ice to melt faster in air than in water. If the air and water are different temperatures, the ice may melt more quickly in the medium with the higher temperature. Fill a container of water and give it time to reach room temperature. Do you think the size of the container (the volume of water) will affect your experiment? Place one ice cube in the water and the other on a room temperature surface. See which ice cube melts first. The surface on which you place the ice cube affects the results. If you were in microgravity, like on a space station, you might be able to get better data because the ice cube would float in the air.